Anthony served as a US Navy Special Warfare Combatant Crewman (SWCC) with Naval Special Warfare Group 1 out of San Diego, California from 1998-2003. He was an 11 Meter RHIB operator, and did two deployments to the Northern Arabian Gulf region conducting Maritime Interdiction Operations and reconnaissance missions. As a result of his service he was diagnosed with PTSD, Anxiety, Depression and OCD, while also suffering chronic pain and a spinal fusion surgery. It was through these “opportunities,” which he used to call obstacles, that yoga found Anthony — and it immediately resonated with him as the way to heal and reintegrate after his military service. 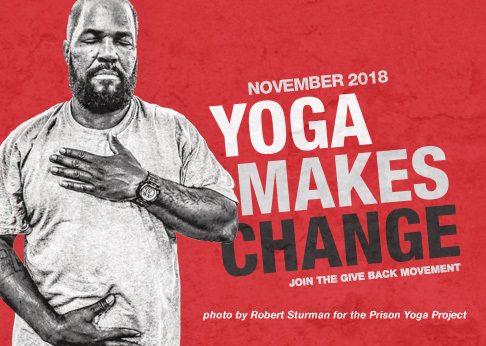 Anthony truly believes yoga has saved him, and he wants nothing more than to share the healing powers of yoga with other veterans as a tool for easing their suffering and empowering them to heal and reintegrate post-military service. As a combat veteran and a certificated yoga teacher he is uniquely aligned to help lead the way for this current generation of veterans as a yoga teacher and advocate. He is a graduate of the Asheville Yoga Center’s 230 Hour Yoga Teacher Certification program, and is a Registered Yoga Teacher (RYT) with the Yoga Alliance at the 200 Hour level. He is currently undertaking the 100-Hour Mindful Yoga Therapy for Veterans teacher training, as well as pursuing the Warriors at Ease Certification for Teaching Yoga and Meditation in Military Communities. Anthony’s post-military mission is to be of service by bringing the healing powers of yoga to others, especially veterans, as a way to ease their suffering and empower them toward healing. He accepts this mission honorably and with gratitude and steadfast dedication. Anthony has joined the Give Back Yoga tribe and is currently serving as GBYF’s Outreach Coordinator for Veterans as a way to unify his mission to serve his fellow veterans.